Don’t you just hate it when someone has a birthday close to Christmas? This means thinking of two gifts rather than just the one! Luckily one of the pre-Christmas birthdays is my Mum, and she’s dead easy to think of gifts for. 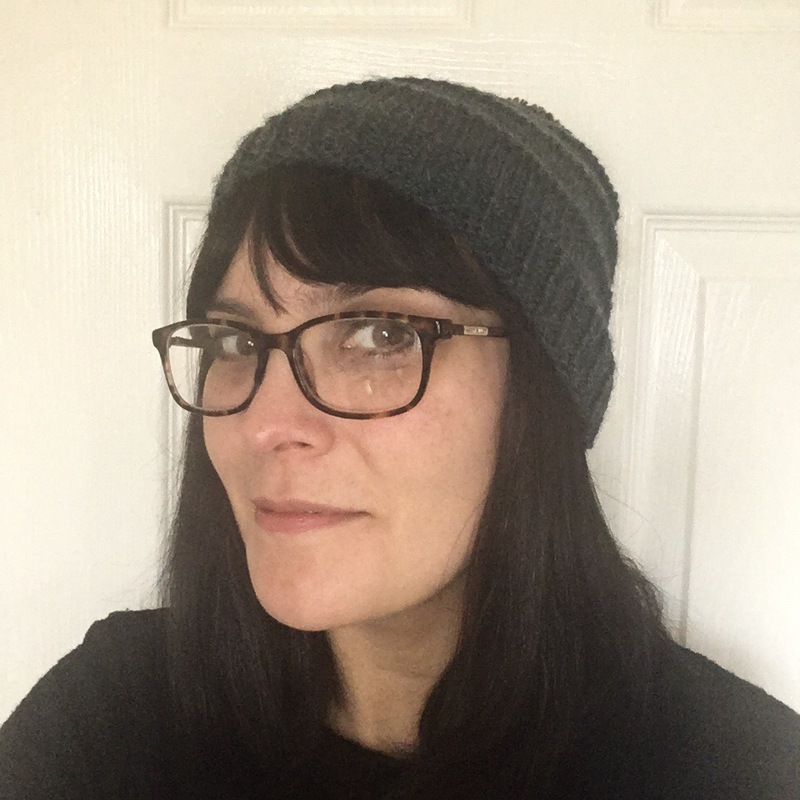 This year she got a very craft-based gift from me… I made her a hat, and bought her a length of fabric I thought she would like (she sews… and which sewist wouldn’t want fabric?!). 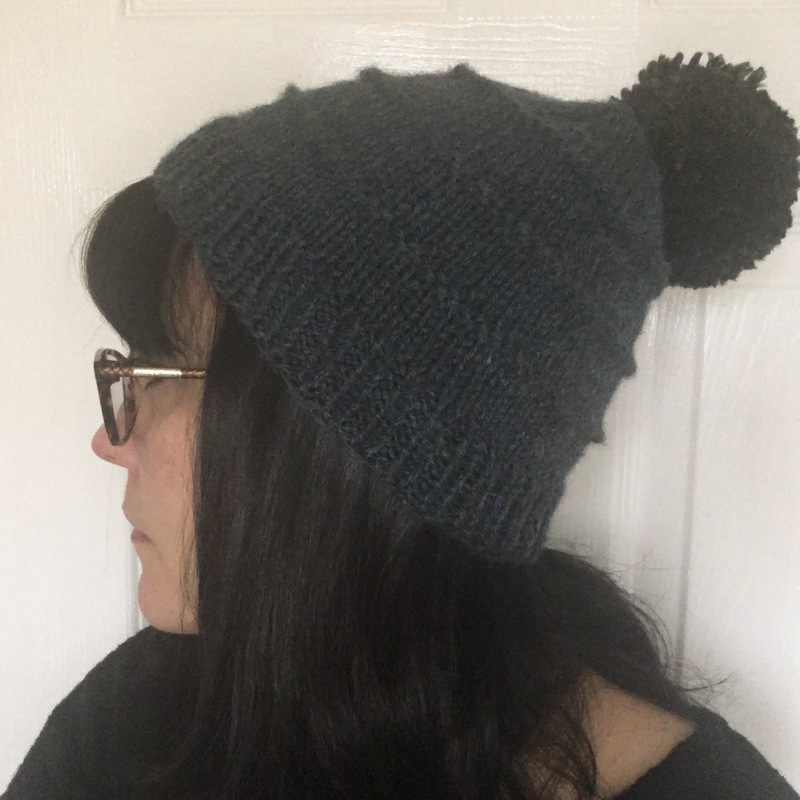 The hat proved surprisingly difficult to photograph!! It’s actually a lovely rich bottle green colour, but it kept coming out quite grey. 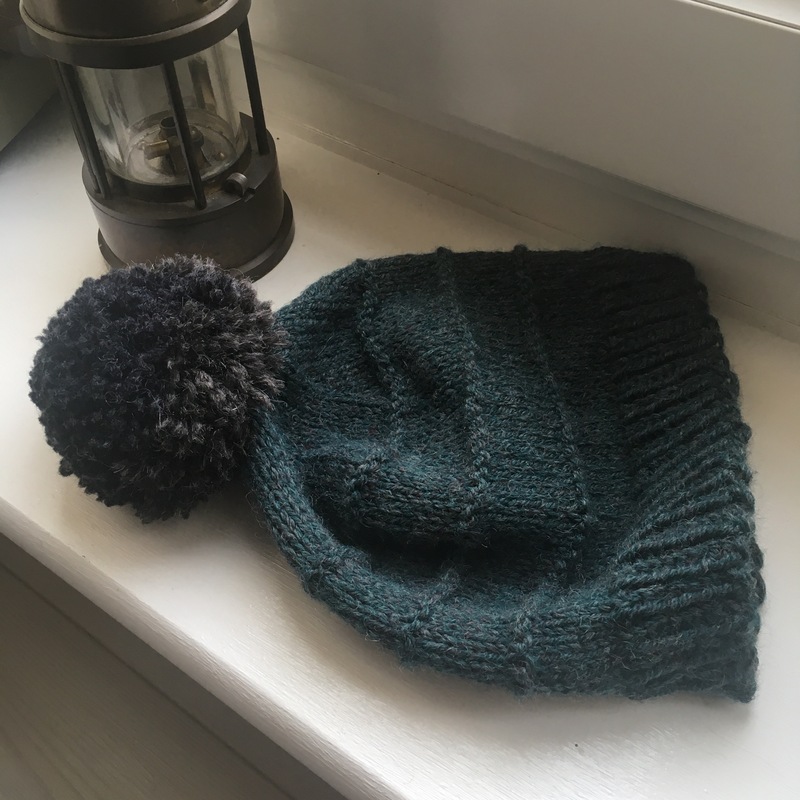 I used the same wool that I made my Brass and Steam shawl from which was Plymouth Yarn Encore Heathers (bit of a mouthful), and the pattern is the Ridgewood Beanie (Designs by KN). 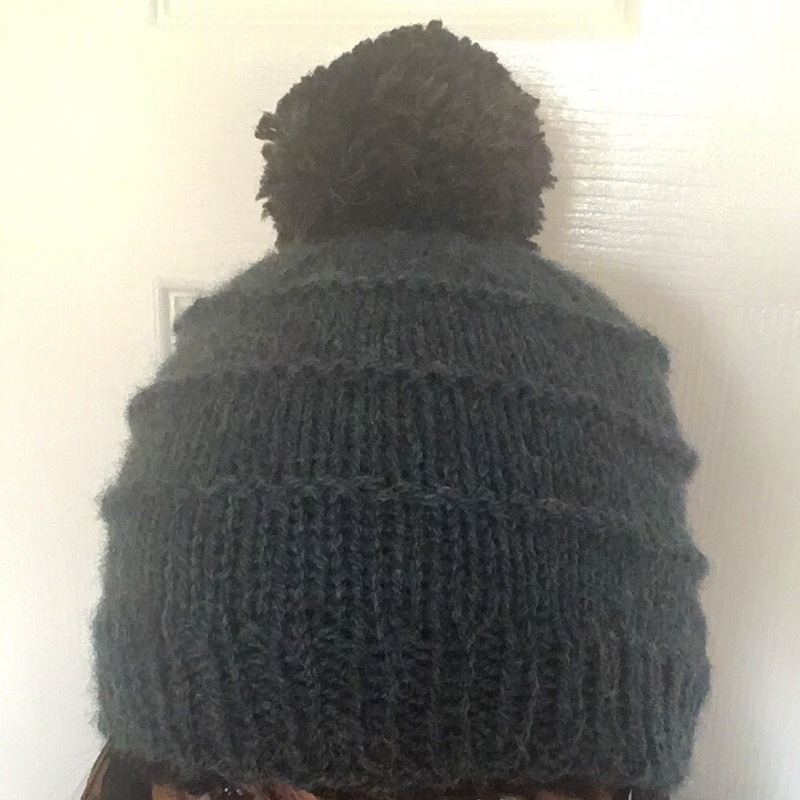 Really easy to knit up I must say… this took me a grand total of… one afternoon… including Pom Pom. I think the fact that this is Aran wool really helps. 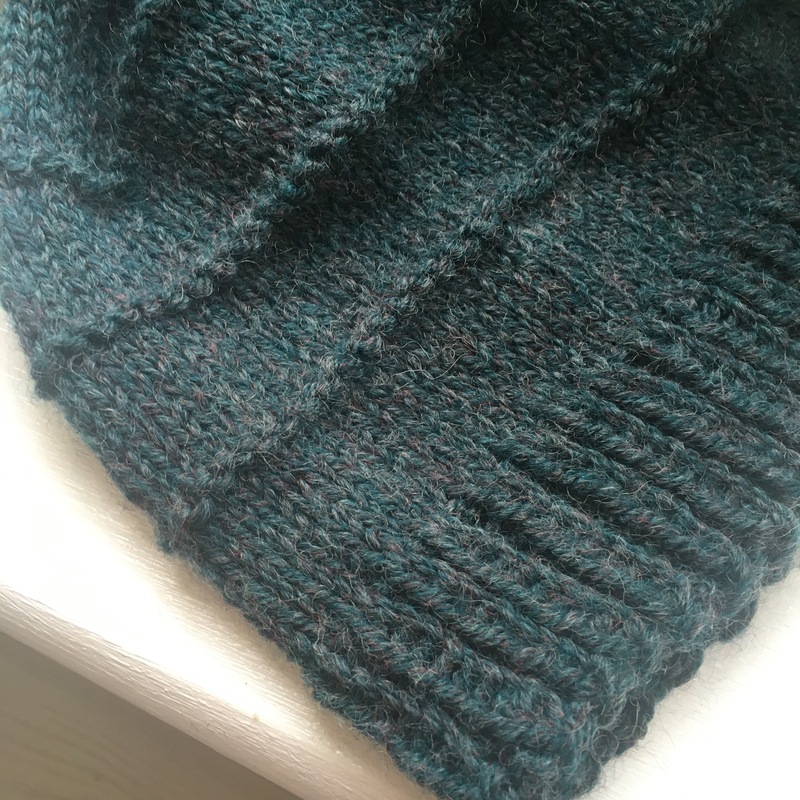 The pattern is a free one, and consists of a few rows stockinette, then one purl row… I know… mind boggling! But I like the effect, and the decreases at the top look lovely and neat which helps. Ooh that’s better… you can see the green properly in this picture. 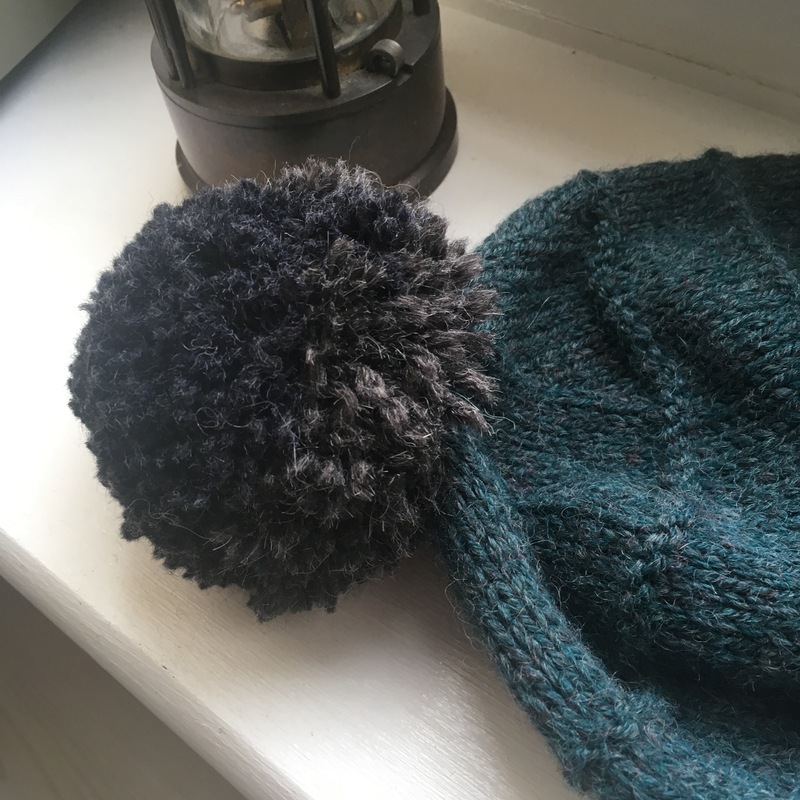 I had great fun with the Pom Pom… I made a giant one in a grey alpaca mix that I had leftover. And your eyes do not deceive you… I did end up with two shades of grey… let’s call it a design feature. Previous Post Do we post about everything we make? My son’s birthday is New Years Eve…very hard! Lovely hat, I’m sure she will love it!